Designed for a young globetrotting couple, this hip apartment combines casual living with international chic. 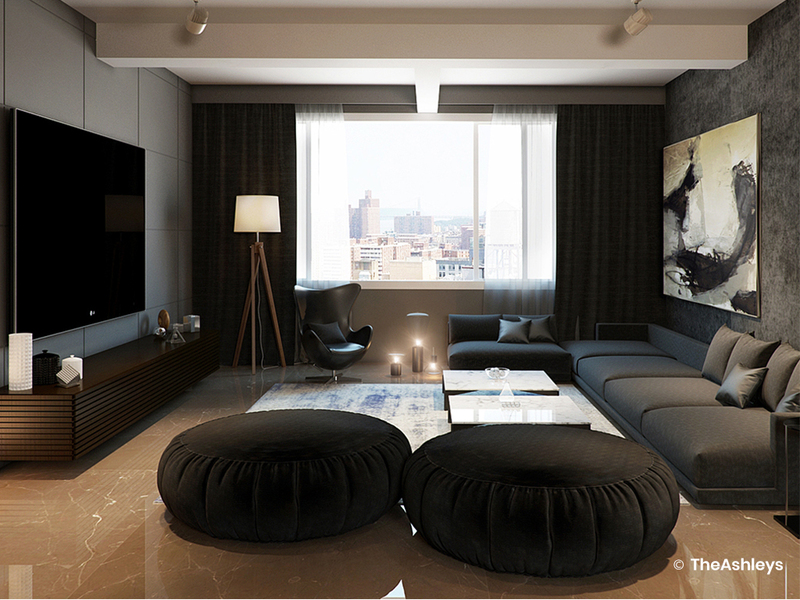 When apartment interior designing for clients such as these, the focus must enhance and reflect their spontaneous lifestyle: friends dropping in for cocktails, easy weekends, or quiet evenings after work. 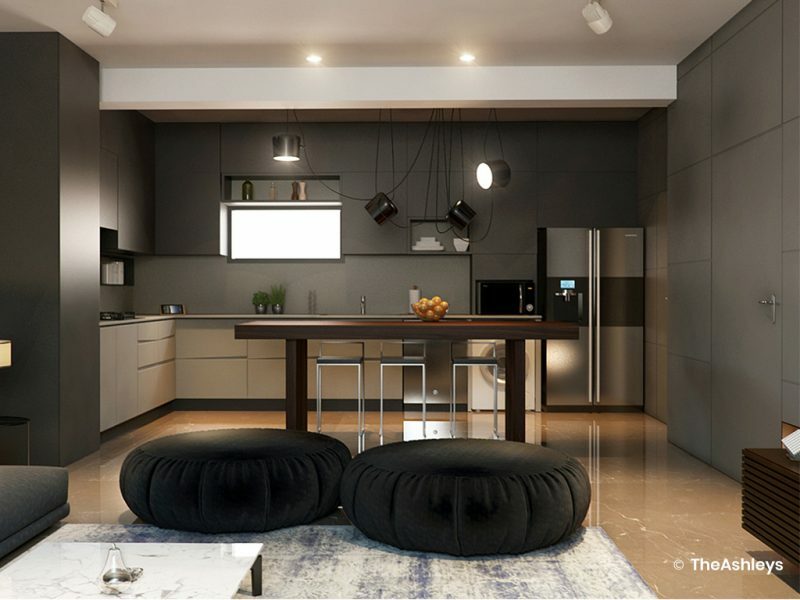 A stylish open kitchen is attached to the living area, with muted lighting and a compact layout. A mirror-panelled folding partition offers flexibility to encompass the kitchen area or separate it, depending on the event and guests. The two large bedrooms are interconnected, creating a spacious bedroom suite with a lounge. 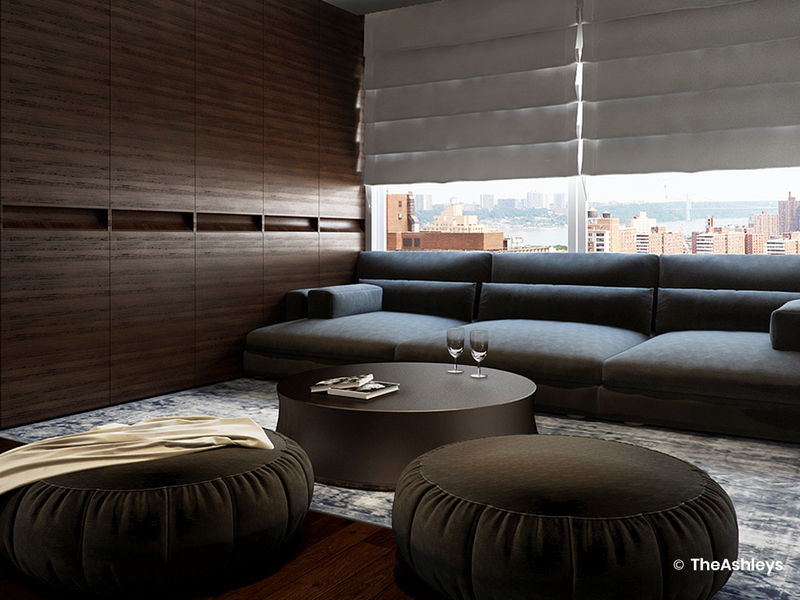 When visitors come over, the lounge area can be converted into a guest room. 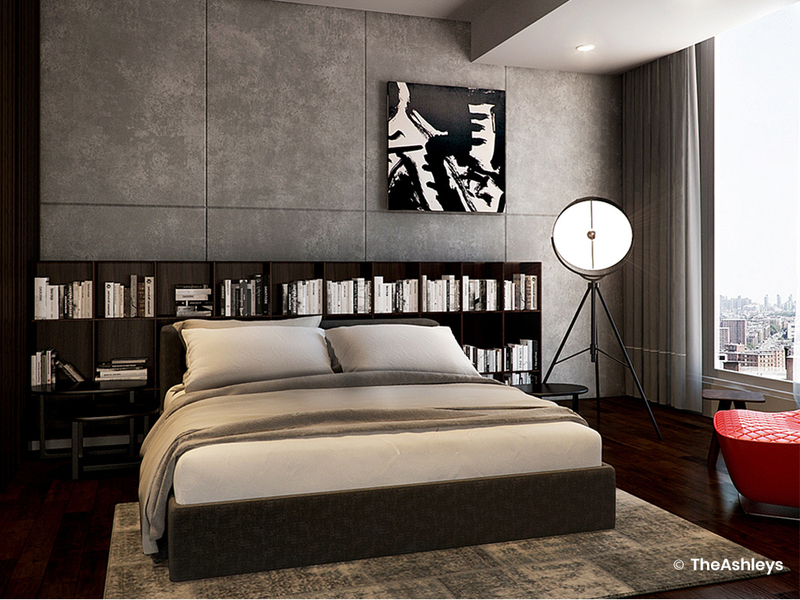 A muted grey palette with studio lighting, wood accents and clean lines give this apartment a fun, trendy vibe. Smart, seamless solutions like concealed appliances and tuck-away partitions make it possible to maintain the minimal theme. The main entry is masked by the chiselled design on the TV wall, while the doors to the walk-in closet and bathrooms are camouflaged by the teak striped detail. The teak design wraps the walls and stands out like a detailed wood box in the space.